My Masterclass on Design Thinking for EURIB in Rotterdam in November 2012 is an opportunity to pull together some recent literature on this issue and provide a perspective on a concept that has sparked some spirited debate. A fresh new variable? A useful myth? Or opportunistic hype? My conclusion is that it’s a sign of the times, and has been useful as a focus for some new practices and methods. But for it to work we still need designers. They are experts in the aesthetics and craft of design, but define the value of these in new ways. Socially critical, reflexive makers of change reconnect design with its soul. Design Thinking is a fashionable term in both design and management circles, reflecting the rise of interest in methods and strategies that embed creativity and innovation within management across public and private sectors. However, it is a concept that must be approached with some caution. As Lucy Kimbell has rightly argued in her paper Rethinking Design Thinking, the concept is undertheorised and understudied. Writing in 2010 for the Stanford Social Innovation Review, Brown extends his case beyond that of commercial innovation, providing a claim that it can contribute to social innovation. The Brown/IDEO model of Design Thinking is presented in terms of “three overlapping spaces” rather than orderly steps: inspiration, ideation and implementation. This is elaborated further in his 2009 book Change by Design. 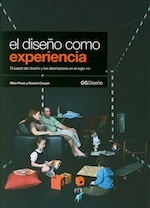 In a review of the volume, Robert Blinn says “Business books tend to be written in a peculiar dialect somewhere between anecdote and allegory, and Change by Design is no exception.” Indeed one way of interpreting Design Thinking is that it is a strategy for companies such as IDEO to be taken more seriously by the business community and by government. Much that is written on the subject by its key advocates is framed in business-speak. And the evidence would suggest that the message is getting through to both business and government, helping to diversify and strengthen the markets of the design industry. This piece included reference to Tim Brown, IDEO and their more recent ‘social’ design projects that apply their notion of design thinking to development, education and other contexts. A way of analysing and interpreting the distinctive styles of thinking and approaches to problem solving within design, that has been subject of study and discussion by researchers since the 1960s. A business-oriented conception of design that seeks to enhance the value of design professionals and their distinctive expertise. Design as a way of thinking has origins in Herbert A. Simon’s The Sciences of the Artificial, published in 1969 in which he called for a science of design: “a body of intellectually tough, analytic, partly formalizable, partly empirical, teachable doctrine about the design process”. This developed through Peter Rowe’s book on Design Thinking in 1987 and Richard Buchanan “Wicked Problems in Design Thinking” who argued for design thinking to be regarded as “a new liberal art of technological culture”. Buchanan has been particularly influential in the development of design and design thinking, and highlighted its value to tackling wicked problems – those which are ill-defined and complex in their nature. At the Rotman School of Management, Roger Martin embedded design thinking within the MBA curriculum, recognising this potential value of design thinking in being applied strategically. In his book The Design of Business, Martin argues that “design thinking needs to move upstream, closer to the executive suites where strategic decisions are made”. In the UK Lucy Kimbell delivered design thinking as part of an MBA curriculum at Oxford’s Said Business School, and she has written about others who have pushed at the boundaries of business education in similar ways. Both Kimbell and Tonkinwise, with different emphases, highlight the depoliticised nature of design which design thinking appears to promote. Indeed, this is also the position taken by Nigel Cross, albeit in a less critical way, with his reference to imagination with responsibility. Its emergence over the last decade reflects design’s evolution from the physical to the strategic. IDEO manifests past of this shift, but we can also see much evidence in the emergent field of service design, the application of design to healthcare delivery and other public services. It is a useful shorthand term for those methods and processes that enable codesign and collaborative practices. There is not one single ‘true way’ for thinking through design, but a variety of approaches and practices that are evident in different contexts. As a contested territory, it has required practitioners and researchers to reconnect with valuable perspectives and theories which have shaped our views of design over several decades. 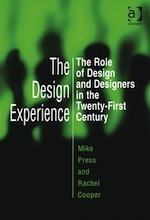 While design thinking can be applied by managers, communities, users and others to think creatively through problems in a variety of states of ‘wickedness’ this does not remove the need for critically engaged, reflexive professional designers. Indeed it creates a far greater demand for them to act as facilitators, leaders and enablers. They bring the specialist knowledge and ‘feeling’ that is rooted in the aesthetics and craft of design, without which design is ethically unmoored, and creatively soulless. I also have seen many designers saying that “design thinking” is just the old fashion design. And maybe it is. The thing is that the field lost the broad and critical sense to became shapers in many smaller fields (graphic, product, digital, etc) defined by the outputs, not by the way they organize ideas to come up with something new. 1 – Research – While regular designers have “a look”, “do some observations” and “get inspired”, design thinkers are able to research in a deeper level and analyzing results in such a way that many times this research approach can become a whole deliverable for a client. Designers are great researchers when they want. 2 – Prototyping – The “regular” design process will (almost) always put the prototype phase at the end of a project, but under the “design thinking” mood we very often build to think and to research, taking these rough ideas to have a walk with users and gather their feedback. (Yeah… it can be seen just as a research method, but I think about as a little more relevant). All in all, at least “design thinking” narrow your chances of finding just rubbish when googling for relevant design references. Interesting overview on design thinking. Also some valid critique in that design thinking is “undertheorised and understudied”. – via Mike Press. Mike’s post includes a fantastic list of related articles and links that can help understand the current landscape of design thinking. Mike’s post and the linked paper are worth a read, particularly if you are curious about the assessment research being done in the design thinking space. A little more information on this global topic.